Identify, document, publish and uphold systems policies, standards, procedures, checklists, agreements, diagrams, inventory, etc. Understanding of cloud orchestration frameworks, enterprise IT service provisioning tools, and their role in IT transformation including Chef, SALT, Puppet, etc. Come join our collaborative IT team at HealthStream! We develop innovative healthcare IT solutions for patient outcomes. We are committed to solving big problems in healthcare, from hospitals to long-term care and across the care continuum. More jobs at HealthStream, Inc.
Want to get notified about new jobs at HealthStream, Inc. ? 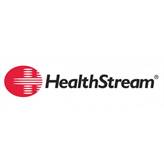 Systems Engineer at HealthStream, Inc.